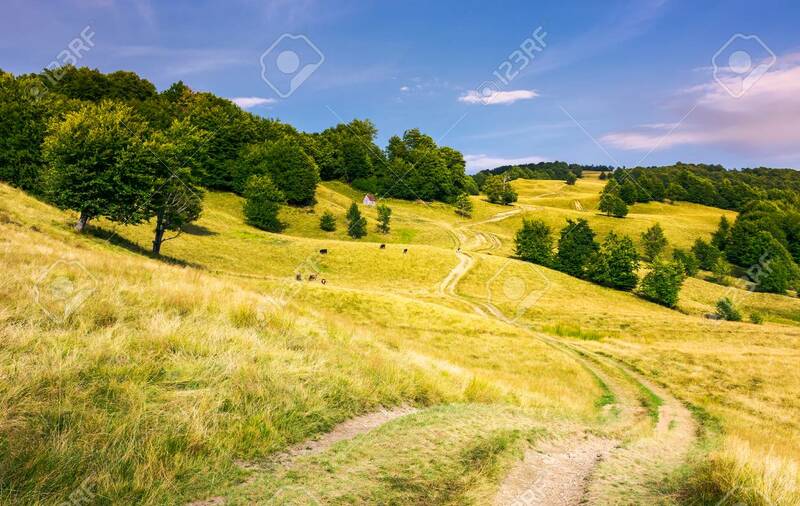 Dirt Road Uphill Through Grassy Rolling Hills. Beautiful Mountainous.. Stock Photo, Picture And Royalty Free Image. Image 104417738.